Nokia Symbian Belle Update Coming 8th February? 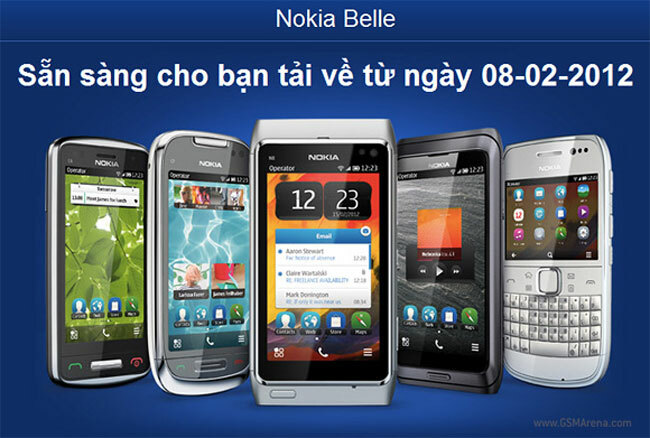 It looks like we may have a date for the release of the Symbian Belle update from Nokia, as Nokia Vietnam announced that the update will be released on the 8th of February 2012. The page has since been removed from the Nokia Vietnam website, but not before a number of people managed to capture a screen shot of the announcement. Nokia is already shipping new Symbian devices with Symbian Belle, so it looks like the update should be out around the 8th of February, although it is unclear why the page has been pulled from the Nokia website. As soon as we get some confirmation from Nokia that the Symbian Belle update is coming on the 8th of February we will let you guys know.